Product prices and availability are accurate as of 2019-04-19 09:39:03 EDT and are subject to change. Any price and availability information displayed on http://www.amazon.com/ at the time of purchase will apply to the purchase of this product. 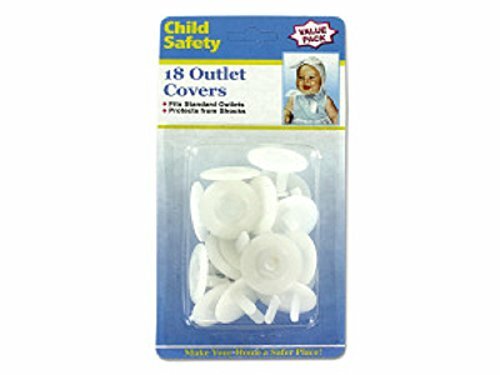 Fitting Instructions Our outlet safety plugs are an important accessory in every home with small children. They help your child avoid injury by keeping inquisitive hands out of dangerous outlet openings. 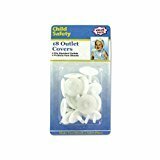 these plugs will fit firmly into outlets and are specially designed to be removed by adults only. 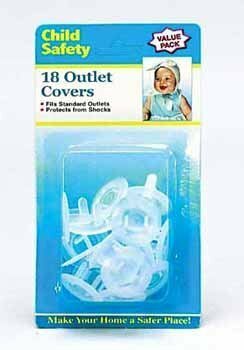 To Install Simply insert the prongs on the back of the cover into the outlet slots. Make sure that the prongs are all the way in and the cover is flush with the outlet plate.